Batch Word to PDF converter is a freeware conversion utility tool that allows conversion of Word to PDF format on the go. In addition to converting MS WORD files, the software supports a range of other formats including Excel (XLS, CSV, ODF, ODS), Rich text (RTF), PowerPoint (PPT, ODF, ODP, PPTX), Plain text (TXT) to PDF as well. The tool comes equipped with an amazing feature called batch conversion. Unlike other PDF converting tools, users no more need the PDF virtual printer to convert files to PDF one by one. 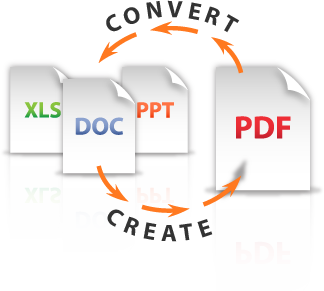 Batch Word to PDF converter allows the conversion of more than one file easily. Users only need to select all the files that are to be converted and click on Start Now. This way, the tool will convert all the Word files into PDF in a batch. Additionally, users can also choose to merge all the selected files in a single PDF as per their requirements. These two features make Batch Word to PDF converter standout in the market. PDF Candy is a new completely free service for processing PDF files online by Icecream Apps. There are 24 various tools to works with PDF files. You can convert files from PDF format, to PDF format and proceed with such operations as PDF merging, splitting, compression, and other. All the tools of the website are offered to the users in full and absolutely free. 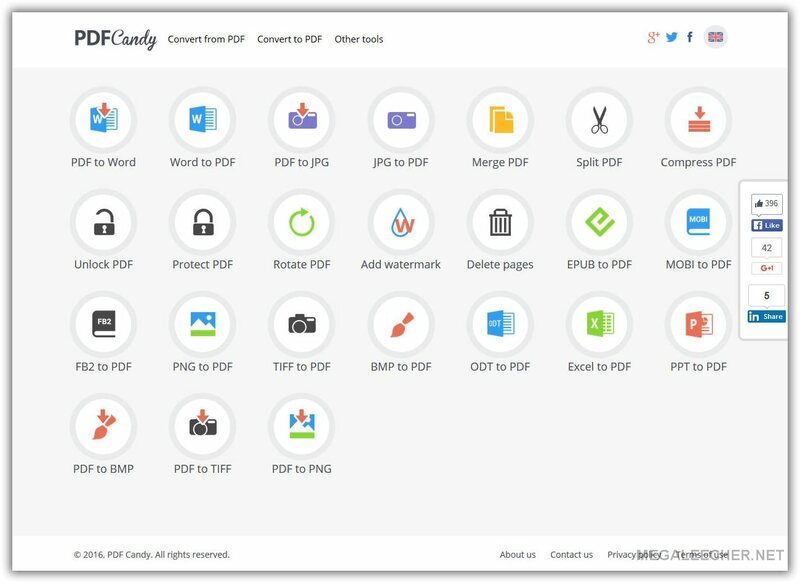 PDF Candy doesn't contain any ads on the website and doesn't require its users to create personal accounts on the website, apply for subscriptions, provide any personal information or else. The processed PDF files can be downloaded directly from the service, there's no need to give out your email to receive the link to the result files. There are no limitations on the number of the files to be uploaded to the website, number of the tools each visitor is using. The only limitation is that uploaded PDF file should be no more than 10 MB for fair usage of the services by all users. It is completely secure to use PDF Candy. The uploaded files are only used for their processing and are not being stored or handed to third-parties. In addition to this, connection is secured by SSL. So one can upload documents with sensitive information to PDF Candy without worries about the safety of the contents. With the vast technological advances that the world has experienced in the last decade or so, we find ourselves having to deal with a multitude of different tools, apps, workarounds, programs and platforms. We also have to try and navigate around the number of different file formats that are now available from different programs such as Adobe, Microsoft and Apple. If you have to deal with a large number of documents every day, and they are all in a different format, it can be extremely frustrating trying to open them all in different programs. There have been apps developed that allow you to convert files into whatever format best suits you, or the person you are sending a file to, but these need to be downloaded and installed and more often than not only deal with one kind of file conversion. This is where Docs.Zone has got the formula right. Docs.Zone is an online file conversion tool that doesn’t need to be downloaded or installed and a membership signup will give you unlimited access. Not only is it easy to sign up for, it is also a tool that doesn’t limit you to one kind of file conversion, and there are a number of different options to choose from. Below we can have a look at the various options, and how easy Docs.Zone has made it to convert files. PDF remains the best file format for sending, sharing, printing and archiving electronic documents. While its universal formatting and viewing features are unsurpassed, it is not so convenient for making changes. So, as much as we like receiving documents in PDF because we know we’ll be able to view the document as intended, with all the text, images and hyperlinks in their proper places, we get a headache when we receive a PDF that we need to modify. In many cases people start creating new documents and manually typing information from the PDF file in order to get the job done. To simplify the process of editing PDFs, there are PDF manipulation tools created for different purposes: to convert PDF documents into MS Excel spreadsheets, to convert PDFs into PowerPoint presentations, to allow typing in the PDF itself, to allow making bookmarks in the document, etc. Many of these tools focus on one specific feature of a PDF manipulation, like converting PDF into Excel, for example, and they are often free and online. There are, however, more advanced tools for PDF conversion and editing with more than one conversion option and we are sharing one such free online PDF Converter here today. The advantage of this tool over many other free online converters is in its comprehensive nature: it can create PDFs from over 300 different Windows formats, as well as convert PDFs into the most used Office suite formats: .doc, .xls and .ppt. As we all know, PDF (Portable Document Format) document is a suitable method to share files with others and send via email. Many PDF files are restricted by passwords, to impose limitations so unauthorized users cannot open, edit, convert and print the file content. We have shared many free PDF file password crackers and restriction unlockers in the past, iSkysoft PDF Converter is also one such utility that allows users to remove PDF restrictions. The utility also allows users to extract images and texts from the PDF files. Apart from removing PDF protections and extracting images/texts from PDF, it even can convert PDF file format to various file formats such as Word Document (.docx), PowerPoint Presentation (.pptx), Excel Workbook (.xlsx), Electronic Publication (.epub), Rich Text Format (.rtf), HTML Document (.html), Image (.tiff, .png, .jpg, .jpeg), Plain Text (.txt). Especially, it supports batch conversion that can convert up to 200 files at one time. iSkysoft PDF Converter is a paid product and costs $59.95 but is now free for a limited time, so hurry grab your genuinely licenced registration keycode for free now. With tablet and mobile devices prevailing in the market, PDF format has become even more popular. Recently Wondershare released BETA of their PDF Editor and here is a review with chance to get the application for free. 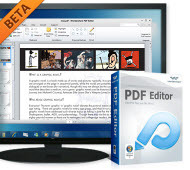 Wondershare PDF Editor features a simple and elegant interface. 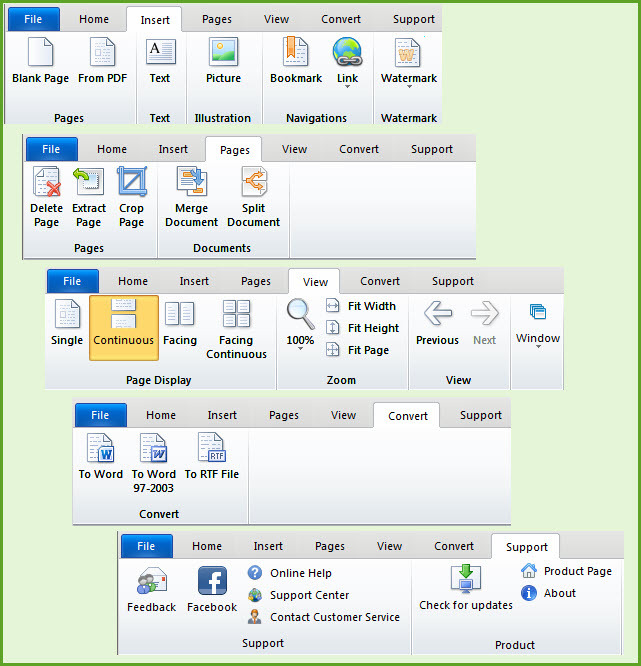 The toolbar gives a clear guide and users can easily have PDF files edited. Almost all PDF related tasks can be performed from this one application, without requiring any PDF reader, users can view your PDF files and also open multiple PDF file at the same time. Users can edit text, object and links, add annotations, merge and split PDF files, crop, extract and delete pages and even change the file name. What’s more, users can also convert PDF to word/RTF by one click. It can recognize 17 languages, including English, Turkish, Greek, German, French, Italian, Portuguese, Spanish, Russian, Polish, Czech, Slovak, Ukrainian, Bulgarian, Croatian, Romanian, and Catalan. Another handy feature is that users can find and replace any words or phrases in the text like what they do with Office by pressing Ctrl+F. The pencil tool on the toolbar makes editing simpler. Portable Document Format (PDF) has became a common document format for exchanging and transferring files due to it's security features, compact size and compatibility on any computer. With only a free PDF Reader these files can be presented with the original content and format on any system with no exceptions. So when people finish creating files in some document processing tools such as MS Office Word, Excel and PowerPoint, they generally save them as PDF files and transfer them to other people for sharing. That is why we always come across PDF files. Have you experienced that you need to modify and reuse the content of them in some case? Since PDF editors like Adobe Acrobat are all expensive and overcomplicated to use, it is more skilled and expedient for most of us to edit or reuse PDF files in their original format. So an almighty and competent PDF Converter becomes essential. Now we are delighted to giveaway 25 licenses of AnyBizSoft 5-in-1 PDF Converter to our readers each worth $59.95 sponsored by AnyBizSoft Studio, a software development company focused on PDF solutions.